Drum Expo 2013: Born in 1983, Gibraltar became the only single-focused hardware company in the business. Gibraltar is Hardware. The company launched with a mission to offer drummers and percussionists nothing but options. No matter what brand of kit you play, Gibraltar supports them all. 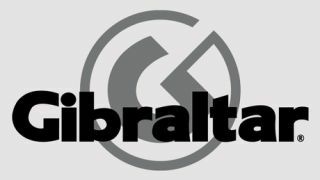 Endorsed by some of the biggest names in the industry, Gibraltar has built a large-scale Service Centre of parts and accessories providing solutions for the creative needs of many talented musicians. The brand new and highly desirable Gibraltar G-Class bass drum pedal blends power, speed and style. Click here to discover more about the G-Class bass drum pedal. Fresh from the Gibraltar Hardware YouTube channel comes this Brent's Hang video covering how to convert floor toms to racks - just one of the many cool and useful offerings from Gibraltar. Click here to learn more about Gibraltar Hardware. Discover more at Gibraltar Hardware, and share your experiences with us on Twitter and Facebook. You can also view our video guides on YouTube.